A friend and client asked, "Why are my Aries Sun and Jupiter associated with nomadic early times in history?" I wrote a book 25 years ago called The Divine Plot: Astrology and Reincarnation that maps human history on the zodiac signs and is the basis for my Tarot.com report Astro Reincarnation. Naturally, as Aries is the oldest and first sign, it signifies the nomadic, wandering time in history from 52,000 - 26,000 BC up to the beginning of the Taurus matriarch Earth Mother cults (think Magdalenian Venus figurines, the bull paintings at Lascaux, bull horn ritual sites throughout Europe and the Middle East, etc.) and the discovery of agriculture. So Aries people (I have Moon there) are really nomadic at their core -- cave people, wanting to settle, but often wildly and even obsessively independent. As you also have Jupiter there, it means your religious qualities and philosophy of life are also tied to such a time -- celestial cults that followed the Sun and Moon's movements, migrated north and south, etc. -- and it exaggerates those qualities, making them larger, more extrovert. This is the masculine side of you versus the Piscean feminine at the end of the historical eras -- like 1920's Europe, the Cubist and late Expressionist painters -- but highly cultured and a bit decadent, refined and worldly, very psychological in viewpoint rather than religious. A few years ago I wrote an online report that elucidates this; the time period in history for each planet in your birth chart, in its own astrological era. I use it without always mentioning it in readings, but it often explains, in subtle or obvious ways, people's taste in literature, aesthetics, core values, temporal associations, attractions to particular places and times in history, religious beliefs and many other qualities that we all carry. 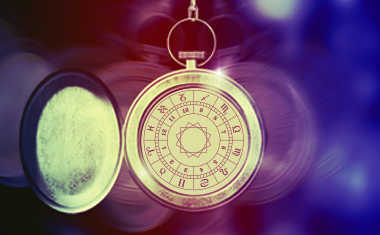 I then used this information to complete my Astrology Reincarnation Report which shows you which era your soul thrived in, as well as what you were doing in other ancient eras. We travel to find parts of ourselves in previous times, to relive deeper aspects of our reality, exploring our genetic past. We feel drawn to those places on Earth where we resonate with the Earth, the art, the lifestyle, the way of talking, the climate and geography. Why are we connected there when we often don't have a direct connection? 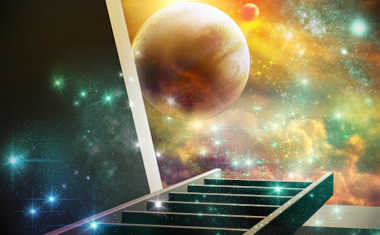 Our genetic wandering is connected with our soul's journey through the ages, times, genders, sexes and historical eras. Everyone has different associations and we seek more and more of them. When you have, for example, Scorpio planets (1100AD - 1500AD) -- the time of medieval Europe, the Black Death, the Crusades, the cathedral-builders and the rise of Buddhism in Tibet (the reincarnated lamaic lines begin then) -- then we are naturally drawn to those places and their ideas. We begin to read, study, travel and even practice Tibetan Buddhism or mystic Christianity. In doing so, we attract and buy artifacts that express these values and put them around our house. This "signals" others of a similar time to come to us, to unite in similar beliefs. When we have planets making conjunctions with planets in another person's birth chart, it means that we were incarnated together at some time in the past. We resonate deeply, feel like we "know" them, can almost breathe with them. 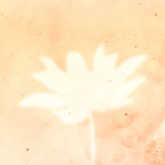 It is because, as Rudolf Steiner suggested, we are involved in group incarnations, numbers of people who reincarnate together at various times, always being different "individuals," in that you might be a wise old man in one time, a young, beautiful virgin in another, a religious fanatic in another time and a famous artist in yet another time. This, in a way, is our psychological and incarnative roadmap through history.